The Riverhead Zoning Board of Appeals is expected to vote Thursday on a proposal to build a $10 million drug addition research and treatment facility on 34 acres at the Enterprise Park at Calverton. 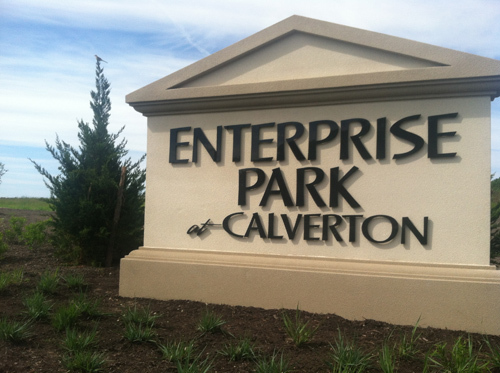 A group of scientists, medical professionals and developers called Calverton Addiction Research Education: New York (CARE NY) is proposing the center for land owned by developer Jan Burman and located within a Planned Industrial Park zone. The facility would not only research addiction, but also provide temporary housing for up to 100 addiction patients seeking treatment. The patients, who would stay for up to 120 days, would be part of the research while they receive treatment, according to CARE NY’s founder and CEO, Andrew Drazan. Since it was first proposed last fall, the project also received a $1 million grant from the New York State Economic Development Council in December. It’s unclear how a refusal of the application by the ZBA would impact the grant. Dr. Rickard Terenzi, a retired Stony Brook University researcher who is involved with CARE NY, said at a Jan. 9 ZBA hearing on the proposal that having the test subjects on site is something that’s been missing from previous addiction research. In the past, scientists studying addiction would literally have to take people off the streets to study their addictions, and many of those subjects would drop out of the research program before it was completed, rendering the research useless, according to Vincent Messina, the attorney for the applicant. “If you approve this, we believe the primary source of addiction research will be coming from the Calverton site,” Dr. Terenzi told the ZBA. One of the areas CARE NY plans to study is why some people are addicted to certain drugs and others are not, he said. The PIP zone allows research and testing laboratories as a permitted use, but the question before the ZBA is whether “a research facility with an accessory treatment center” is a permitted use. A residential treatment center is not mentioned as a permitted or prohibited use anywhere in the town code. The ZBA has held two public hearings on the proposal, on Oct. 3, 2013, and on Jan. 9, 2014. At the end of the Jan. 9 hearing, the ZBA closed the matter to further comment. Chairman Fred McLaughlin said the ZBA will render a decision at its Jan. 23 meeting, which starts at 7 p.m.